We cannot choreograph our own death, but we can die well.This is a book for those who are facing death. 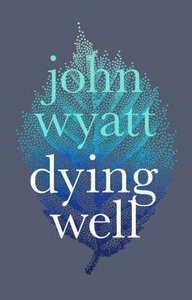 It is also for their relatives, friends and carers.John Wyatt looks at recent trends in dying. He examines the 'art of dying', a Christian tradition from the past. We see opportunities for dying well and faithfully, real-world examples of personal growth and instances of reconciliation and personal healing in relationships. On the other hand, there are also challenges to face: the fears and temptations that dying can bring.We learn from Jesus' example as we focus on his words from the cross. The wonderful news is that we can look forward to 'a sure and steadfast hope', the amazing hope of resurrection and its implications for our lives today. About "Dying Well: Dying Faithfully"